Direct response fundraising tends to be consumed in first impressions, rather than in-depth reading of your content. Most of your readers are scanning your work, and not really following the arc of your beautifully created narrative from message to message. Because of this, being repetitive works. Rather than scrupulously picking up where you left off Oliver Twist-style after your last fundraising communication, often saying what you just said again works best. Among the best places to put this strategy to work is in your membership renewal series. In a membership renewal campaign (email or direct mail), you begin by sending a notice to your supporters letting them know that it’s time to renew their membership and sharing all the wonderful things that their membership makes possible. Even though membership renewal campaigns are serial in this way, that doesn’t mean each notice needs to be different though. In fact, if one notice in your series is uniquely strong, don’t be afraid to send it again. Unfortunately, you can’t expect your next renewal notice to non-responders to hit it out of the park in quite the same way. But chances are if you repeat the strategies that worked exceptionally well in the preceding package—in this case the membership card—you’ll achieve better results than you would with a general reminder notice (up to 10% more revenue in testing we’ve done at MKDM). The same idea holds true in email, perhaps even more so. If you find one particular email in a series surprises you with exceptionally strong results, drop whatever you had planned next and resend it. Bottom line: be on the lookout for the real stars of your direct mail and email campaigns. If a first act brings the house down, make it the second act too, and maybe even the third. Good direct marketing is counterintuitive in so many ways. 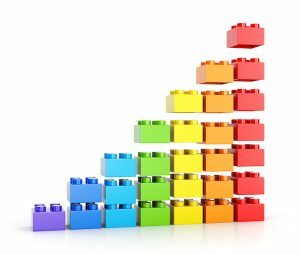 When we evaluate our programs looking for ways to improve them, we naturally zero in on the problem areas. What problems do I need to fix to make my program better? But instead of focusing your energies on identifying and fixing perennial problem areas, you’d actually be better served seeking your areas of strength, and building on them. Because when you want to really move the dial and raise more money, your potential for doing so lies within the best performing segments of your file, not the worst ones. It’s a matter of simple math. You can see that response rate is highest in the first two renewal notices (15% in notice #1 and 6.5% in notice #2), and then steadily declines, as it should, with each subsequent notice. You raise almost $34,000 more! That’s an 8.6% increase in revenue. And because it’s a pure net increase, your net revenue increases by 10%. 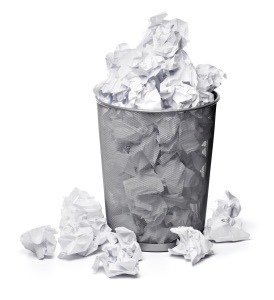 Your strategy to focus on the best performing part of your file, at the strongest point in the series clearly pays off. But what if you had focused on the problem parts of the file and series instead? And so you apply your smart direct marketing strategies to notices #4 and #5 instead, raising the response rates and average gift by the same amount in our first scenario (i.e. +1 percentage point in notice #4, + 1/2 percentage point in notice #5 and +$5 average gift to both notices). You do improve revenue, but by far less. Your total revenue increases by only $12,298, or 3.1% (compared to your increase of $34,000 and 8.4% when you apply your strategies to notices #1 and #2). So the next time you find yourself weighing your options for strategy direction—should you fix a problem or build on a strength?—start by doing what revenue-minded direct marketers do: the math. I recently presented 30 Ideas in 60 Minutes as part of a 3-person panel at Fundraising Day in New York 2017. It’s a fast-moving perennial favorite at Fundraising Day filled with ideas to get you thinking and quick tips you can take home and put to work in your own direct response program. If you couldn’t make it to the largest one-day fundraising conference in the world, I encourage you to add it to your budget and calendar now for next year. And check back here for upcoming posts sharing the ten ideas I presented on the panel. IDEA: Think of your ask string like a dessert cart. Have you ever eaten at a restaurant and after dinner your server wheels a tray of irresistible confections RIGHT TO YOUR TABLE? And so you obviously need to have the key lime pie? Well, did you know you were twice as likely to buy that dessert because your server showed it to you, rather than giving you a menu to read? This same approach often boosts response in email fundraising. Only instead of literally wheeling an assortment of good works over to your prospective donor’s house to choose from, you show the gift array that might otherwise be presented as text in your email as clickable images representing what the individual’s gift will accomplish. So to boost response to your emails, explore bringing the options right to the table, so to speak, in the form of clickable visuals. And don’t forget to test to measure the impact of your ideas. As predictive analysts and veteran direct marketers will tell you, there’s no crystal ball for really knowing whether your next direct response effort will be stellar or just so-so. But there is a remarkably accurate trick for telling whether your copy is any good before you hit send and, in turn, predicting where you might land on the marvelous-to-mediocre scale. Does the copy thoroughly explain who your organization is? Has it been carefully reviewed and edited by a minimum of four people in your organization? Did you answer yes to any of these questions? Then I’m afraid your copy probably stinks. 1. 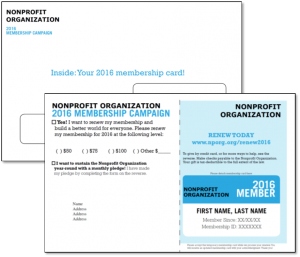 Effective direct response fundraising isn’t about your nonprofit’s interests. It’s about your donors’ interests. No one wants to have a conversation with the person at the party who only wants to talk about himself. Instead of being that “let’s talk about me” bore (i.e. the painstaking explanations of who you are and what you do), take a “let’s talk about you” approach toward your donors and talk about your mission from their perspective. You may be pleasantly surprised by how they respond. 2. Multiple editors drain the life out of copy. They strip personality, spontaneity and risk (the good kind) out of copy, leaving a truly awful string of weird clauses and bland institutional messaging behind. They also make you slow. An organization that can’t respond rapidly to breaking news because of unwieldy routing and approval processes can’t leverage current events in its fundraising efforts. If you want your direct response fundraising to be as strong and as timely as it can be, put your foot down and radically limit the number of people with editorial authority over your direct response copy. I assure you, you will find it liberating both in terms of process and your results. 3. It’s not important to write copy that you like; you need to write copy that your donors will respond to. If you can accomplish both, that’s great. But you should worry about your donors’ interests first (see #1 again), and check your personal likes at the door. In short, write for your donors, not for yourself. So what now? If you find that you have strayed into the territory of bad direct response copy for any of these reasons, let me assure you, you will find it well traveled by pretty much everyone, actually. It’s just evidence that you are a human living in the real world. But be brave! Consider it a reminder that GOOD direct response fundraising copy is worth standing up for, because your organization’s mission is too. It’s an important value that represents an organization’s investment in new donors – what each new donor “costs.” Once acquired, the expectation is that the organization’s new donors will yield some return that exceeds the initial investment. So what’s a “good” cost per donor? And what should your organization’s be? Unfortunately I can’t tell you … because there’s no one answer. Acceptable cost per donor rates vary widely among organizations. And believe it or not, the lowest possible cost per donor isn’t even necessarily the best cost. How much do your donors give after you acquire them? There are many ways to examine this question, and donor lifetime value analysis can quickly become a complicated, caveat-riddled exercise. But one simple place to start is to isolate all the new donors your organization acquired in a single year, look at what it cost to acquire them and then look at how much subsequent net revenue they’ve generated. How many of your donors eventually turn into major donors, and how much do they give? Your organization may pull major donors out of its regular membership or donor development program, but don’t forget to include them in your evaluation. After all, if you spent money to acquire a donor that eventually turned into a major donor, then their giving as a major donor is an important element to consider when setting an appropriate cost per donor threshold. How many new donors seem to appear out of no where, making a gift to your website or sending a check though you don’t recall asking them? It’s not all concrete cause-and-effect in direct marketing. The public awareness cultivated by your donor acquisition program, your organization’s presence in the public eye, and your organization’s programs themselves will all contribute in immeasurable ways to your new donor acquisition results. When you tally new donors acquired and measure their post-acquisition performance, don’t only look at donors acquired through directly attributable sources. Also include your newly acquired “no source” donors in your analysis, because while it may appear as if you didn’t do any work to acquire them, or they were “free,” you actually did do something to acquire them; you just can’t trace it. Remember how you calculated cost per donor earlier by dividing your total acquisition cost by total number of new donors? Don’t forget to include your “no source” donors in this equation. When you do, you’ll see that your real cost per donor is a little lower than you thought. How long does it take you to recover your initial acquistion investment? Six months, twelve months, eighteen months, more? Again, I can’t tell you the “right” amount of time it should take your organization to recover its initial acquisition cost. But you can find out what your organization’s current cost recovery time is, and factor it into your determination of acceptable cost per donor. 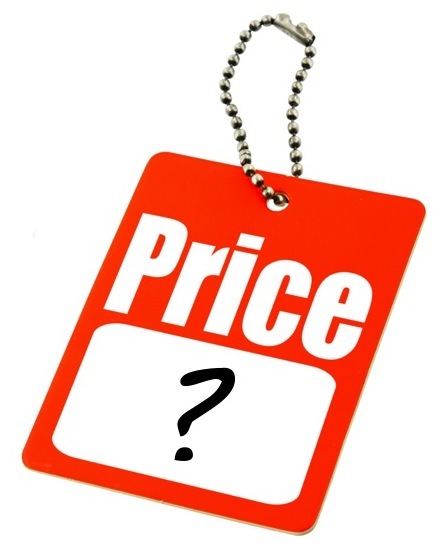 Your organization may, for example, be willing to carry a lower initial acquisition cost longer than a higher one. How does donor value vary by source? 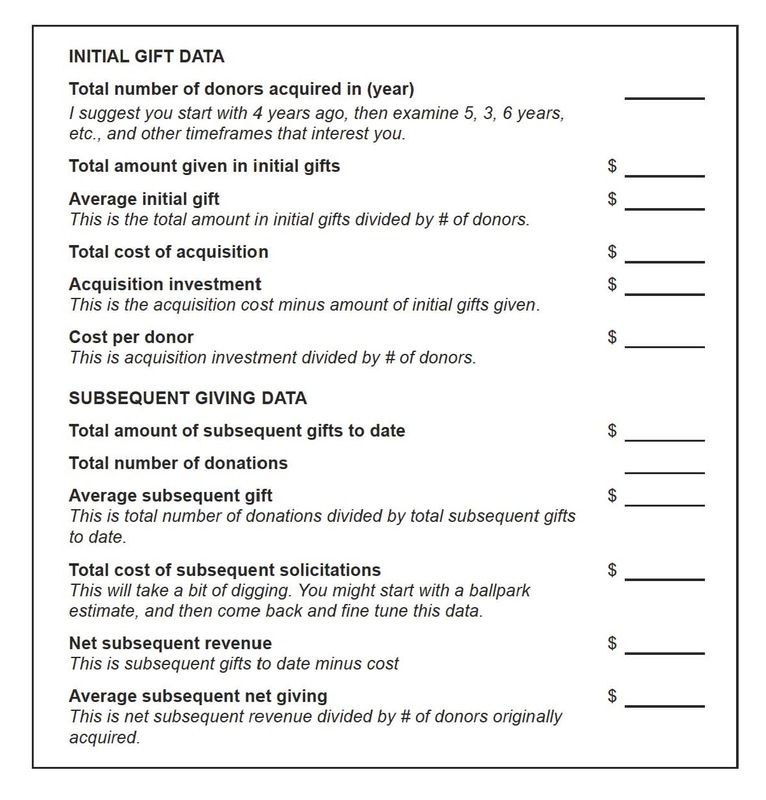 After you’ve considered all of these things, you can dig deeper if you’d like and compare your initial cost per donor and subsequent value by source (for example names you acquire at an event compared to the names you acquire through a particular mailing list). This can be helpful because sometimes donors with a higher up front cost per donor turn out to be more valuable over the long term than donors with a lower initial cost per donor. Now what? Now that you’ve examined all of these things, and maybe some other considerations that came up during your analysis as they often do, what do you think of your cost per donor? If you like what you see, great! You can tell your Board with confidence that your cost per donor of $ (fill in the blank) is appropriate based on the revenue your donors are generating post acquisition. On the other hand, if you don’t like your cost per donor relative to the subsequent revenue they produce, the good news is you can do something about it. You can always work on lowering your up front cost per donor. But more importantly, there’s nothing like a cold hard look at cost per donor and subsequent revenue to really drive home your responsibility to actively engage your organization’s new donors immediately and often post acquisition. If you acquire new donors at some cost and they only hear back from your organization once a year, you certainly won’t achieve your full fundraising potential. You may not even recover your initial cost per donor investment. But if you are in touch with your donors often, via multiple channels, and with varied messages that aren’t always strictly about fundraising, your organization will undoubtedly enjoy the support of donors that are more engaged, more generous, and much more worth the initial investment to acquire them. So as you set out to define the right cost per donor for your organization, remember that the most important factor in determining donor value is you. Editor’s Note 9/6/16: This article was originally posted in 2011, but is even more relevant today as increasing proportions of donors who are motivated by direct mail give online. Trace the origins of your new donors carefully and follow their tracks through both on- and offline universes after their initial gift. Not only will your detective work help you evaluate your organization’s true cost of new donor acquisition, but it will also give you insights on the relative roles of your fundraising and communications channels. 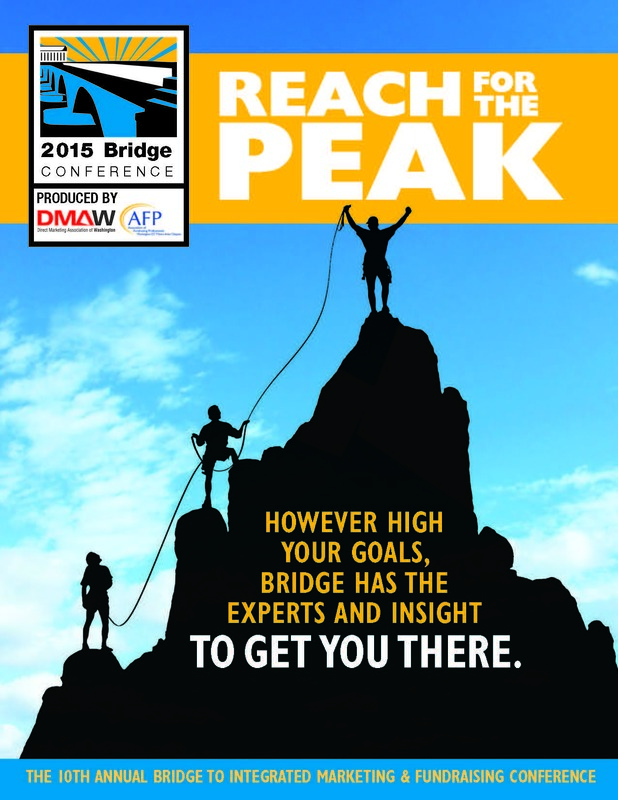 Let’s Reach for the Peak at the Bridge Conference! It’s almost here! The 10th Annual Bridge to Integrated Marketing & Fundraising Conference kicks off Wednesday July 8. As Co-Chair of this year’s conference along with Deborah Peeples, and humble witness to the extraordinary talent of the committee volunteers and speakers that make Bridge possible, I can assure you there’s no end to the insights you’ll gain, connections you’ll make, and new ideas you will discover at Bridge. To make sure you get the most out of your conference this year, be sure to peruse the schedule in advance to plan your Bridge expedition. Not sure where to begin? No sweat! Here are 10 things you can do with us to reach spectacular heights at Bridge. 1. Get the App! Simply search “BridgeConf” in the Apple App Store or Google Play Store. Download it on your iPhone or Droid, and you’ll unlock your own virtual Bridge Sherpa to help you plan and navigate your sessions and connect with other conference adventurers. 2. Attend the keynote sessions. I’ll be blunt: You will not hear more powerful, relevant, smart, thought-provoking speakers at any professional conference you’ll attend this year, and possibly ever. In fact, we went a little overboard this year to bring you three extraordinary industry thought leaders and doers—an unparalleled lineup in the history of Bridge. • Meet 10 new people. • Discover 10 new ideas. • Take 10 minutes to explore a new product in the Solutions Showcase. 4. Sharpen your Excel skills. If you’ve ever found yourself swearing your way through pivot tables, conditional format formulas or data filters, then drop in to the Popup Excel Classroom in the Solutions Showcase. Sessions will run throughout the day, every hour on the hour, and there’s no need to pre-register. 5. Strike up a conversation in the Solutions Showcase Smorgasbord. That’s right, with over 100 specialists in essential nonprofit services, the exhibit hall offers a BOUNTY of expert solutions to your organization’s needs—plus ways to improve your marketing and fundraising efforts that you may not have even considered. Launch an expedition to the Solutions Showcase and you’ll be glad you did. 6. Beat a path to the sessions! This year’s conference features 77 breakout sessions from leaders in the field, expertly curated by Bridge Conference Education Co-Chairs Angela Struebing and Julie Carter, along with a dozen ridiculously talented track deans. The only downside of having so many amazing sessions is you can’t attend them all. But not to worry! You can download the presentations you missed by logging in at the Bridge Conference website. 8. Tune in on Twitter. The Twitter feed at Bridge is a lively and, at times, irreverent pipeline to breakthrough tests, strategies that moved the dial, food for thought, and more. Hear what people are saying and join the conversation at #Bridge15 and by following @bridgeconf. 9. Pack a sweater. Our fantastic conference center works hard to keep 1,700+ Bridge adventurers comfortable at all times (no small task in DC in July!). But sometimes we are a little, shall we say, overzealous in the endeavor. Stash a light sweater in your conference tote and you’ll be equipped to reach for the peak no matter what climate conditions you encounter in your ascent. 10. Have fun! Most of all, enjoy yourself! Revel in the company of your tribe. Pick up a souvenir in the Solutions Showcase. Step out with friends to ride the Ferris wheel. Oh, and be sure to mark your calendar for July 13-15 2016 to take it to 11 with us! Can’t wait to see you soon! *Okay, Geoff did not really win a Jetpack at Bridge. But we do have a a very sharp looking Kindle Fire and half a dozen other excellent raffle prizes this year. It’s counterintuitive like so much of direct response fundraising, but it couldn’t be truer. In head-to-head tests, the simplest, least “fancy” email/direct mail/web campaigns almost always win. … which generated 4 times the results of its more visually attractive counterparts. Susan Paine of Human Rights Campaign hit the nail on the head a few years ago when she said, “If you love it, it will fail.” If your direct response creation is exceptionally pretty and colorful … if you find yourself dismissing possible strategic changes to it because they might sully the perfect design symmetry or a poetic turn of phrase … if you’re really in to how radically “different” it is … then you have probably veered into dangerous territory, and your results are at risk. 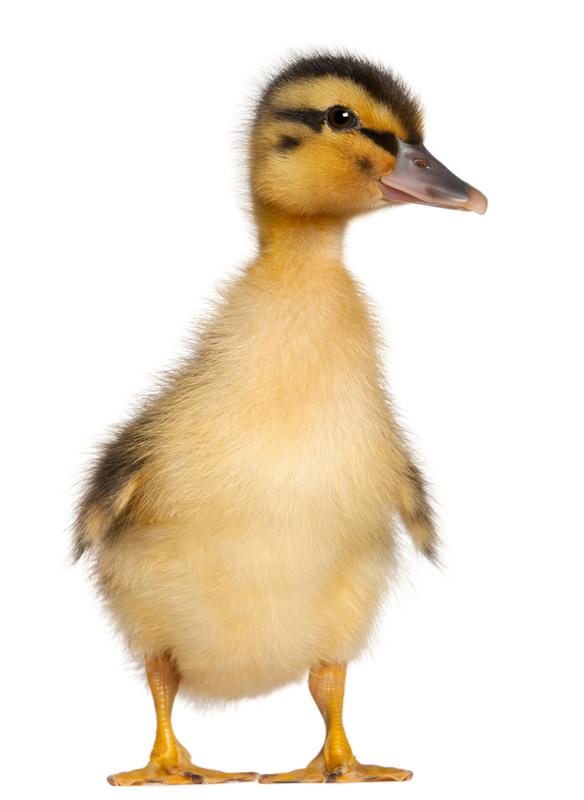 Keep your eyes wide open and see those ugly direct response ducklings for what they really are: imminent beauty, imminent results. Hats off to the DMAW and AFP-DC for another stellar Bridge Conference. Kicking off with pre-conference workshops and the Maxi Awards on Wednesday July 9, through 70+ presentations Thursday and Friday, through the powerful closing session from the founder of Free the Children, #Bridge14 delivered 3 days of nonstop information and inspiration. What happens when you get 1,700 nonprofit do-gooder marketing types together? 2.We soak up everything we can on on the how and why of monthly giving from Erica Waasdorp, the Red Cross, Defenders of Wildlife and others. 3. Paralyzed Veterans of America shares compelling case studies in giving their program a digital facelift. 4. Catholic Relief Services and the Chesapeake Bay Foundation boldly share their “Oh %@*#***!” direct marketing mishap moments, and how they turned those occasional lemons into lemonade. 5. 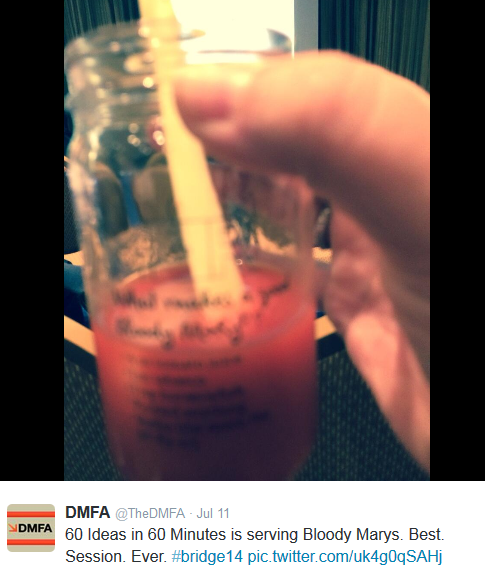 We get Bloody Marys from Madeline Stanionis! And a song from Marc Ruben! Plus a wealth of digital testing data and their online expertise. 6. The Nature Conservancy and Lambda Legal fill us in on the vast, and still largely untapped potential of face-to-face fundraising, including pretty compelling stats on acquisition costs and retention. 7. Over 100 Bridge Conference volunteers see to the quality of the educational content, help us find Baltimore 3, give us advice on sessions to attend, and take care of approximately 1,000 other things to help us get the most out of the conference. 8. American Farmland Trust along with John Graves and Alia McKee, remind us that donors aren’t ATM’s and show us how to really care for and cultivate our contributors. 9. Scores of talented, passionate, dedicated fundraisers generously share case studies and expertise in their organizations’ development programs for the benefit of all of us attending, and the work of our nonprofits. 10. And at the end of the whole thing, Craig Keilburger of Free the Children makes us cry, think about what the heck WE were all doing at age 12 (he was fighting to free children from poverty and exploitation internationally), and re-inspires us to go back to our desks on Monday and work harder than ever to change the world. I have always wished the excitement and inspiration of Bridge didn’t have to end after 3 days. Turns out, I’ve found a way to make it last year round: as Co-Chair of the 2015 Bridge Conference. Along with Deborah Peeples of the Alliance for Justice, we’re already getting started on #Bridge15. If you’d like to get involved, sign up to volunteer. If you’ve got expertise and case studies to share, keep an eye out for our Call for Papers next month. And if you have ideas for the conference or just want to shoot the breeze about Bridge, drop me a line. I can’t wait to see you at #Bridge15! Having a relevant mission that people want to support is the #1 prerequisite for direct response fundraising success. But it’s not the only one. In fact, it’s not even the most important one when it comes to dollars raised. So why do some nonprofits sail to success in their direct response fundraising efforts when others with equally compelling causes struggle just to leave the dock? Nonprofits with highly successful direct response programs have rapid and uncomplicated approval processes. They have experienced staff and they empower them with meaningful decision-making authority. Their leadership is accessible and supportive of their direct response program. They stay abreast of industry trends and invest in ongoing professional education for their direct response team. Their development, communications and program departments actually like one another and work well together. They keep a close rein on their budget. They have strong database management and analytics capacity. They hire good consultants or in-house direct response teams and they listen to them. Most of the time. They have informed expectations for their direct response programs. They are also ambitious. 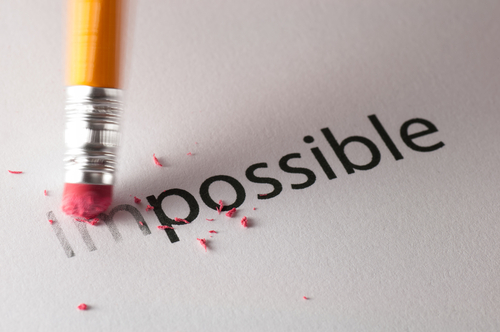 They take calculated risks and they never stop challenging themselves to do better. 1. Use deadlines. Deadlines and goals are very effective motivators for giving in general, and particularly in email fundraising. In the same way that public radio fundraising thrives on goals and the ability to convey on-the-air updates on those goals, email fundraising permits regular updates with increasing urgency and reminders that can be uniquely motivating to constituents. 2. Use NEAR-TERM deadlines. Email is the fruit fly of direct response fundraising. Everything is short-lived. While a direct mail appeal may continue to return over 6+ weeks, email drives giving for only about 24 hours. In the same vein, next to giving on the first day a deadline is announced via email, most donors will elect to give on the final day, even in the final hours, before a deadline when they are reminded via email. Thirty days is an eternity in email fundraising. Generally, you should plan to set deadlines for email campaigns in the 10- to 15-day range, and make sure you send at least one reminder on the final day of the campaign, if not several as the clock runs out. 3. Think multi-notice campaigns. No matter how great your emails are, an individual email message may generate a response rate that’s 10-20 times lower than a direct mail effort. Email fundraising works best when a campaign goal/message is conveyed through multiple email messages under a unified campaign umbrella over a concentrated period of time. Much like a direct mail membership renewal series, multi-part email campaigns make the case for support for a single theme or purpose via multiple varied messages and reminders. A single email fundraising campaign, for example, may be comprised of 3-10+ email messages depending on the time of year and the organization’s email communications program. 4. Don’t ask for money every time you email. In fact, don’t even consider launching an email fundraising program until you have a solid email communications program in place. Capture your constituents’ hearts and engage their brains with a steady stream of informative communications that share your organization’s issues and work BEFORE you ask. As a rule of thumb, for every one fundraising email you send, you should be sending at least three varied, program-related communications as part of a larger communications plan and strategy. Think trust and interest first; giving second. 5. A.B.T. (Always Be Testing). Email is incredibly fickle. A format or subject line style that works one month can’t necessarily be successfully replicated the next. 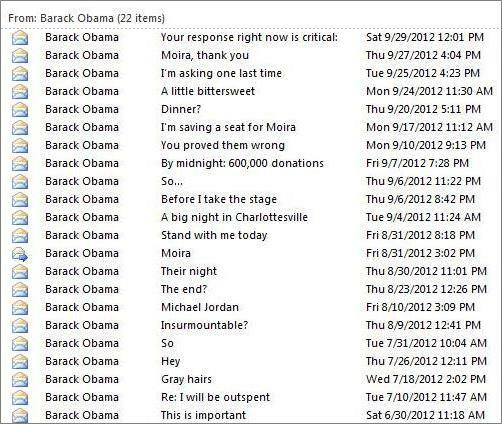 “Hey,” may have been the breakout subject line for the Obama campaign this past fall, but that didn’t mean they could go out a week later with something like “Whoa” (hypothetically) and necessarily expect the same success. You can’t be sure of much in email – but fortunately you can test the waters easily. Always plan to test at least two (and usually more) elements of each email (subject line, header, callout box, sender, graphics, layout, etc.) among a small subset of your file, then roll out with the best email to the rest of the file once you have enough returns to pick a winner, usually in a couple of hours. 7. Write emails worth reading. Realize that yours are among many messages interrupting your constituents’ lives every time you email. Not just on their desktops at work or laptops at home, but also – even more intrusively – in their pockets when they’re out to dinner with friends, on the playground with their kids, out shopping for groceries, and so on. That’s not a reason to email less though. It’s a reason to make each and every email worth reading and relevant. 8. Segment your audiences. To be relevant (N.B. #7), make sure you are able to segment your email audiences – at a minimum – by 1) state, city or region, 2) past email responses (opens, clicks, actions taken), and 3) giving (donor vs. non-donor). For example, if there are legislative/policy issues meaningful to your organization that are taking place in a specific state, you should be able to talk to your constituents in that state about those issues. Or at times you may want to tightly target messages that ask constituents to take action to those who have already taken action. And you certainly want to be able to adapt your messaging appropriately for donors vs. not-yet-donors. Your ability (or not) to segment your audience and tailor your messages accordingly has a direct effect on your fundraising potential. 9. Register, subscribe and give. One of the best ways to get email ideas is to get a lot of emails. Sign up for organizations’ email lists for inspiration and ideas – and be sure to convey your thanks and recognize their work by giving when you can. 10. Send emails, not “e-blasts.” I’ll never forget attending a copywriting workshop many years ago in which the direct mail fundraising pioneer Kay Lautman urged us to elevate the medium and not think of our work as “direct mail” but instead think of it as “writing letters.” Her point was that letters are real, considerate communications rooted in respect and trust between the sender and the reader – and that’s the way you should approach any letter, whether it’s to 1 person or 100,000. Direct mail, if you think of it as merely that, is junk. The same holds true with email. “E-blasts” are the junk mail of today – and is that really what you want to send to your very important donors and constituents? Besides, donors respond better to emails that are personal, carefully considered, and stem from a real foundation of trust and respect. So, do you have any tips to add? I hope you’ll share them in the comments section below! And if you’re not in Minneapolis for the Nonprofit Technology Conference which kicks off Thursday April 11, you can still sign up to attend online and follow #13NTC on Twitter for great insights on online giving and digital donor communications.